You are here: Home Cannabis Cultivation Guide Can Beginners Grow Autoflowering Cannabis Strains? Can Beginners Grow Autoflowering Cannabis Strains? 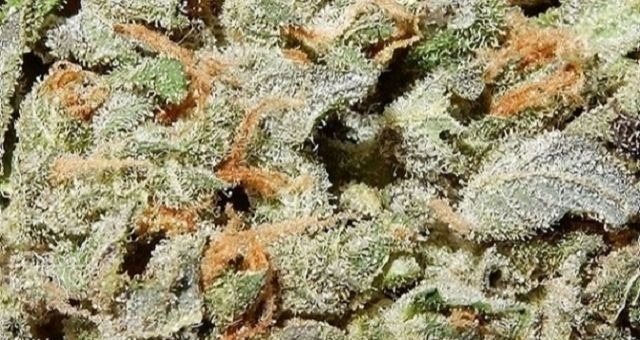 Like a million other people, you love smoking top-quality marijuana. Nothing less will do. You walk into the dispensary only to find that it’s expensive, or the buds you specifically need are no longer available. Finally, disappointed with all the hurdles, you make up your mind to grow your own cannabis. And now that it’s completely legal, you have no excuses! Beginners that want to grow their own marijuana face quite a few problems. From deciding between photoperiod and autoflowers to feminized and regular seeds, it’s easy to get lost in the process. Obviously, when you’re preparing to grow some amazing buds, you want the easiest route. Growing cannabis is a complex science; more like an art, but it all boils down to one thing: experience. Many growers get all excited and invest a lot before understanding the basics. Of course, you will fail during the first few attempts, but the ones that pick themselves up, learn, and continue trying can only taste success. That’s why experience is so important. Understandably, it can be confusing for beginners, especially when it comes to selecting seeds, lighting, soil, and many other requirements. The fact that it takes a lot of time to smoke the buds serves as a major turnoff. Well, autoflowers offer the ability to harvest plants faster, but can beginners even try growing them? Short answer: A resounding YES! Cannabis plants grow naturally in the wild, just like any other plant. Technically, it’s a photoperiod plant since its life cycle depends on the light it receives. Photoperiodism is nothing but the reaction of an animal or plant depending on the exposure to light. When a cannabis plant receives ample light extending for more than 15 hours per day, it grows well. This is the vegetative stage. As seasons change and the amount of light reduces, the plant switches to the flowering phase. Growers manipulate the lighting they provide based on this very reason. Typically, the plant gets anywhere around 16-18 hours per day, with some growers providing 24 hours. Once they are satisfied with the growth, they switch to the flowering phase with 12 hours of light and 12 hours of darkness. So, photoperiod plants rely on the light cycle to grow and flower. Autoflowering cannabis strains on the other hand, are a bit different. Rather than depending on light cycles, they automatically begin flowering after the plant reaches a certain age. Due to this automatic process, they are named “autoflowers”. Autoflowers, like photoperiod strains, will grow in the vegetative stage and switch to flowering, but they will do so even if they receive 12, 14 or 24 hours of light. Similarly, they will flower even if they receive more than 12 hours of darkness with or without interruptions. No matter what season you plant, the flowering phase is triggered automatically when they reach a certain age. Cannabis is famous for its Sativa and Indica species. But, a little-known species known as the Ruderalis growing in locations with short summers garnered significant attention. 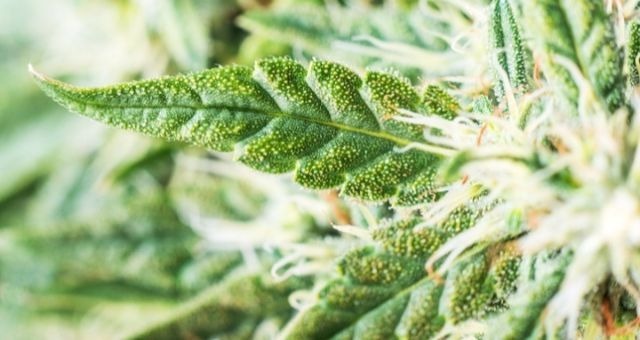 Now, the Ruderalis was special because it had the ability to flower automatically without relying on exposure to light like other cannabis plants. The Ruderalis plant was crossbred with other marijuana plants. The result was an autoflower with a unique ability to flower based on its age. Everything was hunky dory, and the new invention got many growers excited; however, there were a few problems. Not only were the autoflowers low in THC, but they were much smaller than photoperiod plants that eventually led to smaller yields. Growers lost interest in autoflowers because the plants didn’t perform as well as they expected. However, many breeders including Fastbuds didn’t lose hope and took it upon themselves to create autoflowers that performed like photoperiod plants. Today, after many attempts by several breeders, we have autoflowers that not only yield large amounts of marijuana but produce high levels of THC too. Call it technology or evolution, but the autoflowers created today are much better than they were in the past. Suffice to say that the dawn of the autoflowers has finally arrived. Why Should Beginners Grow Autoflowers? The very reason you choose to grow marijuana at home is that you need big, beautiful buds. And, you want it fast. Nobody wants to sit around for months together to harvest flowers. Autoflowers have this major advantage over photoperiod strains where you harvest them much faster. Any photoperiod strain requires a minimum of 10 weeks to complete the vegetative stage. After the plants are switched to the flowering phase, they need yet another 9 weeks. So, you’re looking at a minimum of 5 months to harvest the buds. For autoflowers, the vegetative period takes only 3 weeks and the plants begin to flower in the fourth week itself. The flowering period takes another 8 weeks, but some autoflowers are even faster with an entire cycle taking only 10 weeks. Thus, you can harvest the buds in less than 3 months, making it easier for beginners. As mentioned already, autoflowers take only 3 months whereas photoperiod strains take about 5 months to be harvested. If you do the math, you can grow two batches of autoflowers in the time required to grow one batch of photoperiod strains. And you’d have harvested the autoflowers before the photoperiod strains even move into the flowering phase! Can’t get better than that, eh? Some will argue that photoperiod strains generate more yields when compared to autoflowers, but if you consider the time required, the yields are almost the same. 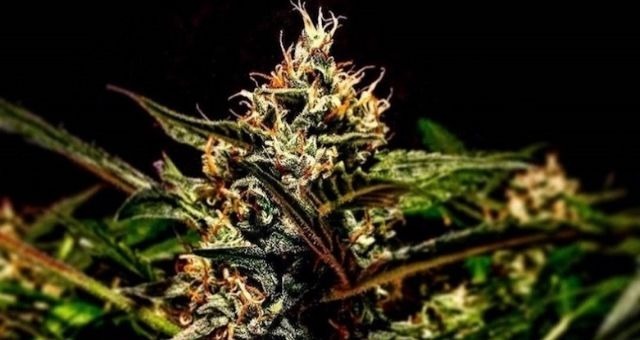 For instance, when grown indoors, most autoflowers produce anywhere from 300 to 400 grams of buds per harvest whereas photoperiods give out about 500 to 600 grams. So, if you add up two harvests, you will, in fact, end up with more buds in a given time frame. It’s exciting to grow a huge number of plants, especially when you have a smaller grow room. And that’s possible only if you harvest the buds perpetually. Photoperiod strains have an advantage over autoflowers in this regard since they can easily produce clones. However, the plants need to be separated and grown in different rooms due to the light cycles. For example, let’s imagine that you have a mother plant in the vegetative period. You take clones from the plant. Now, the clones need some time to grow. And if you want to switch the mother to the flowering phase, you’ll either have to divide the grow room into two separate spaces or get another room. Since the mother plant needs 12 hours of darkness while the clones require 6 hours of darkness and 18 hours of light, managing the grow room becomes a little tough. Unless you have a huge grow room, it’s very difficult to do so, not to mention the cost of running lights separately. In other words, perpetual harvests are possible only if you have bigger grow rooms. You can’t take clones from autoflowering cannabis plants successfully, true, but you can grow all autoflowers in the same space without worrying about the vegetative and flowering stage. In order to get perpetual harvests, you simply sow some seeds, wait for them to flower, and plant a few more seeds just as the previous plants are about to be harvested. If you time it well, you can plant the seeds even when there are about 3 weeks for the plants to finish their cycle. This process allows you to grow and harvest as many plants your heart desires! It’s not legal to grow marijuana in many parts of the world. Not everyone’s as lucky as Canadians! Growers are constantly on the lookout to purchase strains that are compact and small. Most photoperiod strains, especially Sativas grow enormously big, and it becomes very difficult for growers. Indicas are shorter, but broader, while Ruderalis plants adapt just about anywhere. Most autoflowering strains are small and compact and growers looking to optimize Grow Tents to the best of their abilities will absolutely love them. For instance, Green Crack Auto grows only up to 35 inches, making it ideal if you have a grow tent with a negligible height. In fact, they work even if you plan stealth grows where you can’t afford to grow plants with tendencies to grow too big. They flower rapidly, and on time, making it worth your time and effort. Growing cannabis plants is considerably easy when compared to the maintenance they require. For example, photoperiod strains require a lot of planning when it comes to the light cycle. It’s mandatory to provide at least 18 hours of light in the vegetative stage. The plants only start to flower when they receive 12 hours of darkness. Autoflowering strains don’t come with all that baggage. Even if you provide only 12 hours of light from the first day to the very end of the cycle, they will flower automatically. Of course, plants grow better if they receive more light, but you don’t have to constantly worry about the light cycles. You’ll have to manage the nutrients, though. But if you have some good soil naturally enriched with nutrients, then kudos to you! People looking to grow cannabis organically can simply sow the seeds and forget about them! And, let’s not forget the fact that you can save some money with autoflowers. Instead of letting the lights run every day for more than 18 hours, you can get away with 12 or 14 hours. This is extremely advantageous for beginners who avoid growing cannabis primarily due to the costs. The initial investment required is the same for both photoperiod and autoflowering plants, but you will save quite a bit in the long run. You no longer need to panic due when you receive those electricity bills! The bottom line is that autoflowering cannabis plants are not weak and fragile, despite what you’ve come to believe. Experienced growers will tell you that it’s possible to get more yields with high THC levels at the same time even with autoflowers. Truth be told, they are robust, fast and resistant to diseases. Most importantly, they are easy to grow and perfect for beginners that don’t want to grow plants requiring too much maintenance. Yes, the initial autoflowers released a decade ago lacked a lot, but autoflowering cannabis strains created today beat every other strain by a long mile, and if that doesn’t convince you to grow autoflowering cannabis, we don’t know what will.